Equip yourself with the skills and information necessary to teach about Christ in the context of Old Testament texts. Feeling inadequate to the task has long been an obstacle that limited preachers to the New Testament only, so join author Sidney Greidanus in exploring the vibrant and important messages waiting to be unlocked from the ancient Hebrew Scriptures. After laying the foundation on Old Testament preaching, drill down to specific books with volumes on Daniel, Ecclesiastes, Genesis and Psalms. 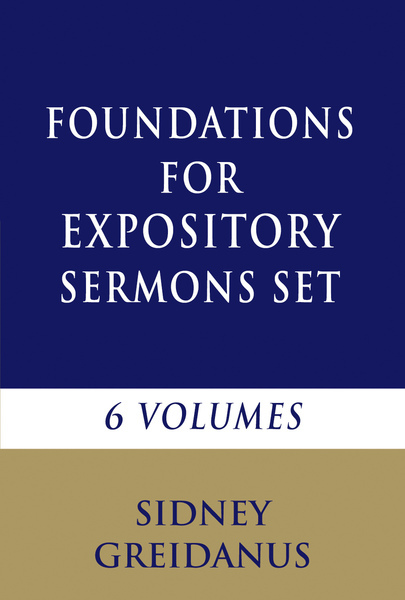 Sidney Greidanus is professor emeritus of preaching at Calvin Theological Seminary, Grand Rapids, Michigan.